I know you know that I love printables! 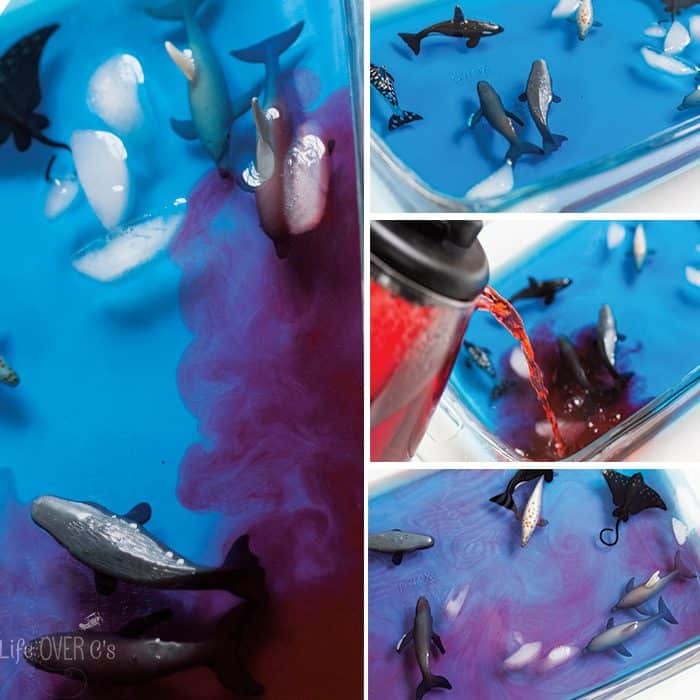 But sometimes, an activity comes to mind that I don’t want to take the time to create a printable for or that I already have in printable format, but want the experience to be different for my daughter. 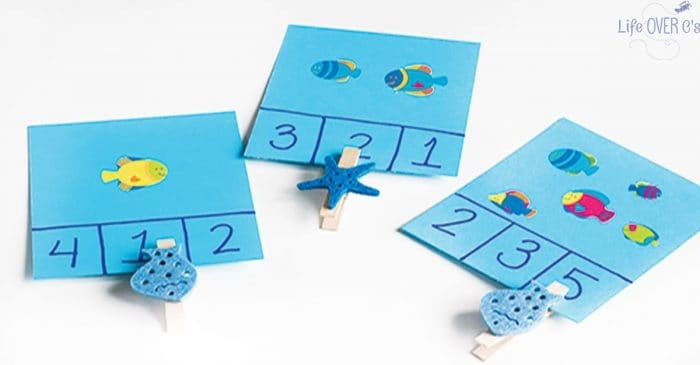 That is exactly what inspired these DIY Ocean Clip Cards for Counting. 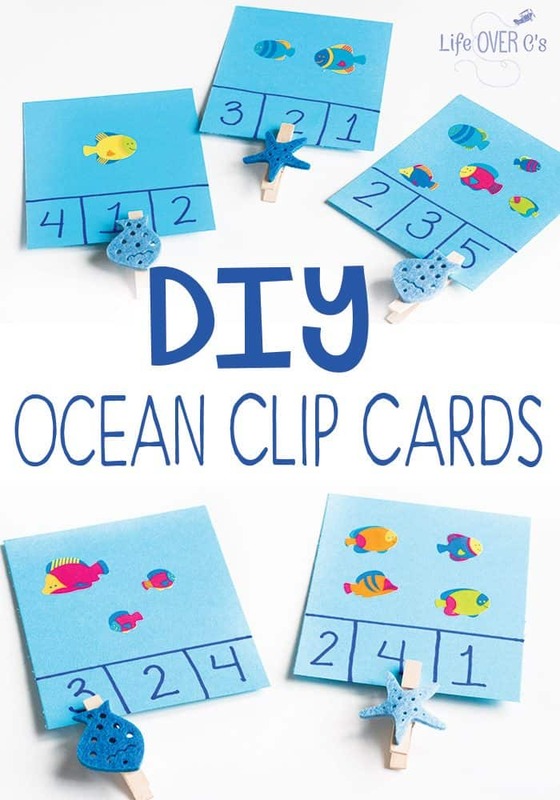 We already have an awesome set of counting and matching ocean clips cards from our Ocean Mega Pack, but since Shiloh needs lots of practice counting and improving fine motor skills creating these ocean clip cards with the cute stickers we had was a great alternative! 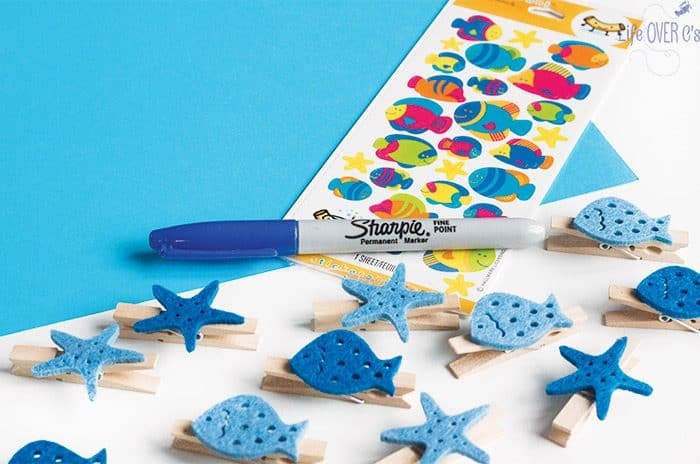 To prep: Cut the blue card stock into six pieces by cutting in half the long way and then in thirds across. 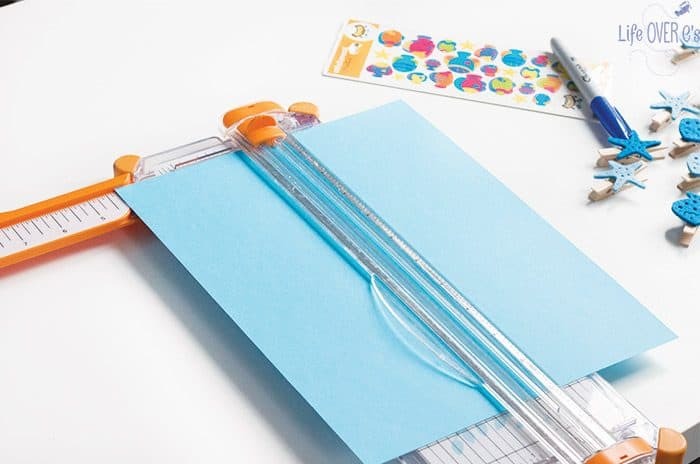 Draw a grid on the bottom portion of the card. 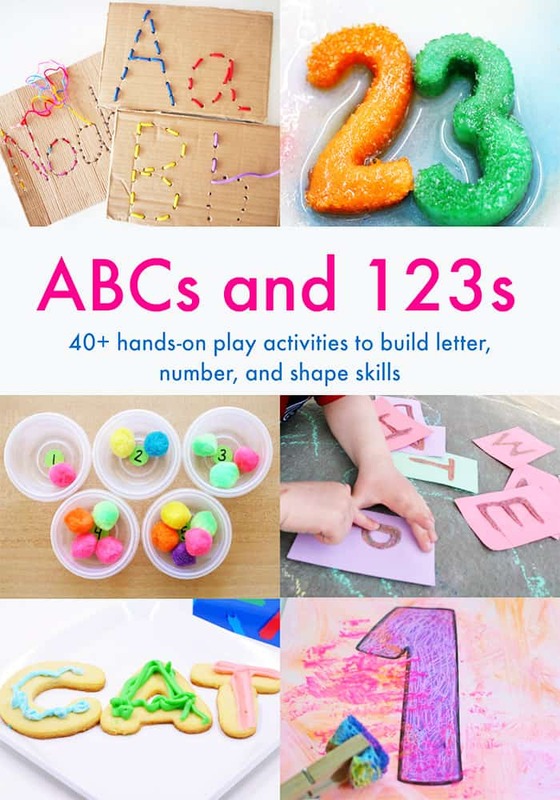 Depending on the skill level of your child, you can make two, three or four boxes. I choose three for this set. Use one box to write the correct answer and any remaining boxes to write other number options. You can choose sequential numbers, numbers with similar shapes such as 5/2, 7/1, 9/6, 8/0. Each option focuses on a slightly different skill. Shiloh isn’t ready for making number choices yet, so after pointing and counting on the finished cards, we point out the matching number.